It's estimated that up to 14 million British men and women suffer from stress - the number one reason for absenteeism at work. In America, this figure is nearly 50 million. A recent survey suggested that nearly 90% of all visits to GP surgeries in the UK were stress related. Some stress helps your body to prepare for certain challenges, so it's virtually impossible to live without any stress. But too much stress, especially if it's day in, day out, can cause serious physical and emotional problems. I feel overwhelmed - how can I manage my time better? How can I relax after a tough day? Can stress affect my sleep patterns? What type of exercise is best for relieving stress? Cut Your Stress demystifies the subject of stress quickly, clearly and concisely. 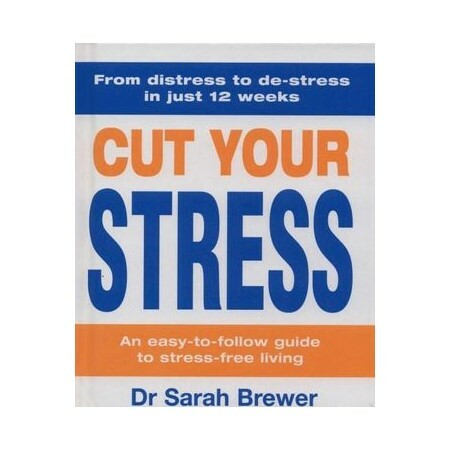 It is packed with accessible information about its causes and effects, as well as expert advice on management techniques such as the removal or alteration of the source of stress. Also covered are: learning to change how you see a stressful event; reducing the effect of stress on your body; and learning alternative ways of coping.